Therapist Devan Hunt specializes in marriage and family counseling centered around relationships and conversation. Her brand identity needed to convey a brand story focused on her approach to growth and connection. The entwined flourished plant we developed represents the beauty can comes from hardship, rooted much like a family tree. 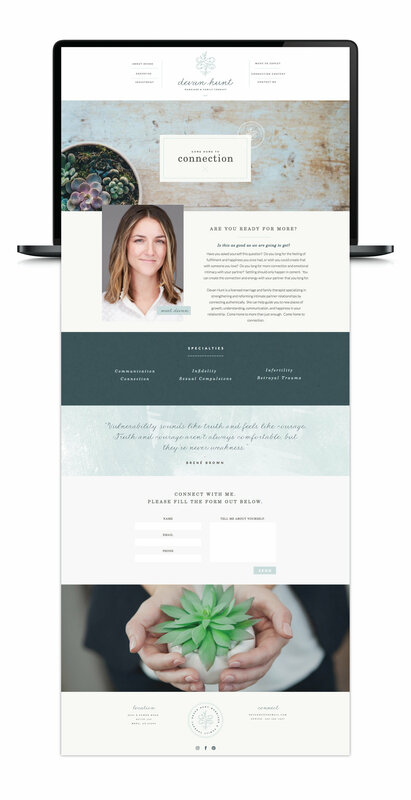 Her website was created to speak directly to her clients and to connect with them in a real and personable way. 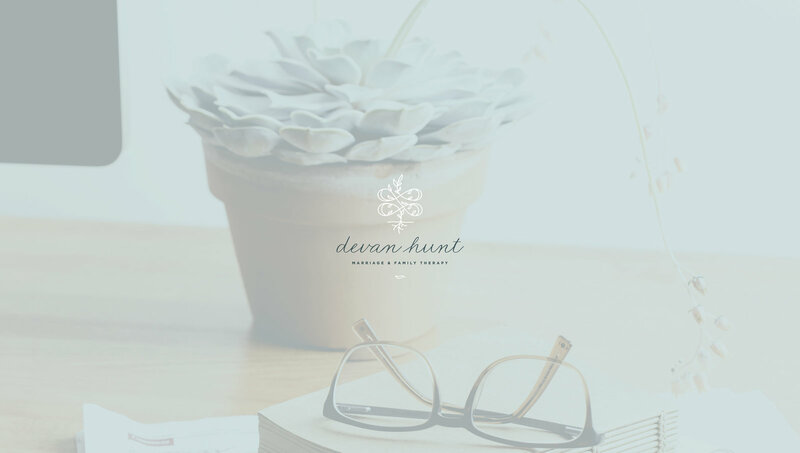 Her site has become a valuable tool with which Devan can attract clients that are a perfect fit for her growing practice. I know that my website has been FUNDAMENTAL in the growth of my business. After creating my website, I have see that those wanting to access services have been my ideal clients. I didn't want more clients, I wanted to find the right clients, and Ann's work has helped me to do that.